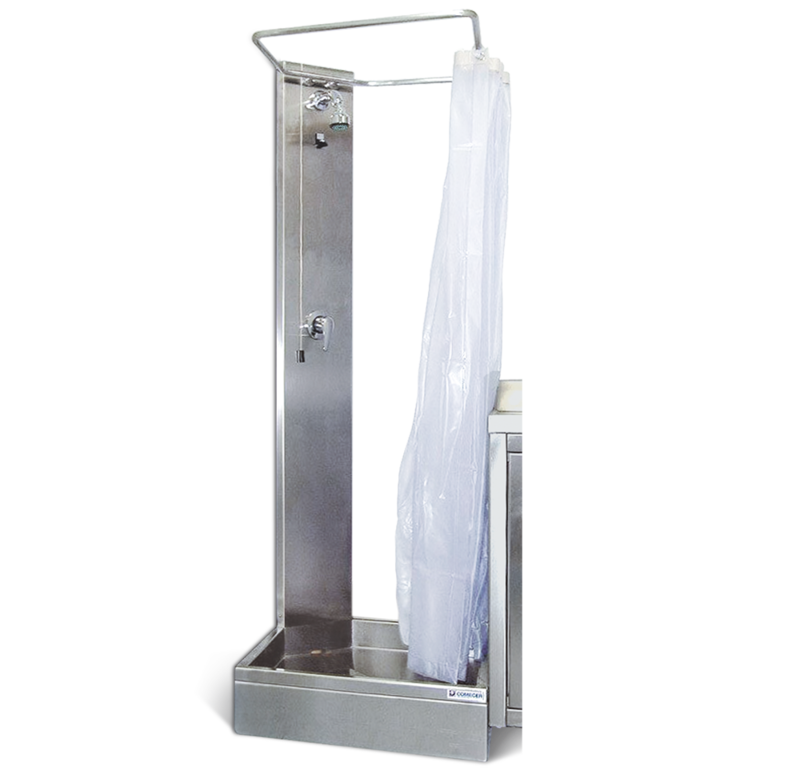 DMI is a decontamination shower with controlled discharge. Basament stainless steel shower tray with raised edge to contain liquids. Column equipped with mixer for the manual regulation of the water flow and upper spray nozzle. Liquid collecting polyethylene container for decay, with electric pump and sensor that stops automatically the water flow once the maximum level is reached.